"If you take everything I've accomplished in my life and condense it down to one day, it looks decent!" It’s exactly how me and the ladies at Costanza Central are feeling these days. Our ‘accomplishments’ these past few weeks have been pretty poor to say the least. 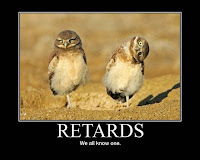 In fact we feel down right retarded going with the picks we’ve made over the last few weeks. I’d love to say we fully anticipate a turn around week but it doesn’t look promising. As you all know Costanza Central has relocated for a week down to Florida. Apparently traveling to Florida gives the ladies a free ticket to booze, hang out on the beach (while boozing), playing volleyball (between body shots), napping (actually sleeping off a hang over), and creating mischief (while drunk) around town. 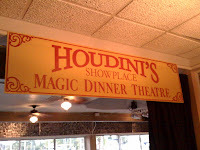 Not to mention catching a few shows (man that Houdini Show was good). As you can imagine there hasn’t been too much time to study the match ups this week. We’ll get to the Start of the Week in a little while. Here are a few pictures from the past few days. Mrs. Iggles is headed down on Friday so the Costanza girls will need to hide out a few days. The Iggles clan will be headed to Sea World on Saturday and then maybe try and catch the Eagles game on Sunday with our friends from Tampadelphia. Let’s take a quick look at where the league is. The Ex-Champs are still bringing up the rear with 1102.0 points but only trail Smidawgs by 49 points. CHAMPS seem to be healthy and have started the climb out of the cellar and are fighting to get their hands on the coveted 9th place finish. DAWGS on the other hand can’t seem to catch a break, keep your head up DAWGS at least you’re not in last place…..NOT YET ANYWAY! First place is still up for grabs and with 4 weeks to go there are still 5 teams with a legitimate shot at finishing in first place. SFLABO is leading the pack and has been red hot the past couple of weeks. The real question will be if they can keep it up or if somebody else will get on a roll and walk away with the $600 first place prize. 1. Has anybody ever seen a make your own Dunkin Donuts section? Me either….Hess gas stations have make your own Dunkin Donuts coffee down here. 3. Anybody need cigarettes? They are extremely cheap down here…..of course there will be a delivery charge. The Deeganowitz in me won’t do anything for free. Now for the bad news…..it’s Start of the Week time. Nacho Papa it looks like it’s your turn. We are looking for the high school QB to make a big come back this week and the only way that’s going to happen is to get Mr. Moss involved early and often. The season is on the line and Randy needs to step up and carry his team to the playoffs. He knows, the Patriots know it, and most importantly the high school QB knows it. HUGE day for Moss this week NACHO.....don't mess it up. So the Start of the Week is Randy Moss and you must sit your boy Lee Evans.